The earth (once known as Tiamat-‘Maiden of Life’) is claimed to be 5 billion years old. It was 4 billion years old in the 1980’s—they jumped an estimation of 1 billion years in 30 years. It must be known there was a cooling off period on earth after being released by the sun—they claim it took 2 billion years. Have you ever wondered what Saturn, Neptune, Uranus, Pluto & Jupiter were doing within this 2 billion year period. That’s 2000 million years remember. Know that a planets distance from the sun (Apsu-Re’-Shamash) if further than earth will have a quicker cooling off period. Also realize bigger masses need more energy from the sun to push out. In other words, planets of this solar system were not created at the same time. For the energy to push out Jupiter in comparison to Mercury cannot be the same. The three largest planets–Jupiter, Saturn, and Uranus are grouped in positioning. Universal laws would suggest that these three planets were the first planets to be spat out of the Sun. Original existence equals maximum strength, therefore the largest masses would be spat out first. Saturn is not an actual planet–and it is the rings that keeps the environmental storms and gases intact(click). These were the additional gases the Sun didn’t need to exist. In 2005 they revealed the moon planet Titan near Saturn. This moon planet is actually larger than the planets Mercury and Pluto. They also stated that Titan has the conditions of earth 4 billion years ago. Four billion years ago they claim this planet had no life and was cooling off from initial creation. The big mistake people do, is they continually forget that the establishments give you theories on reality. 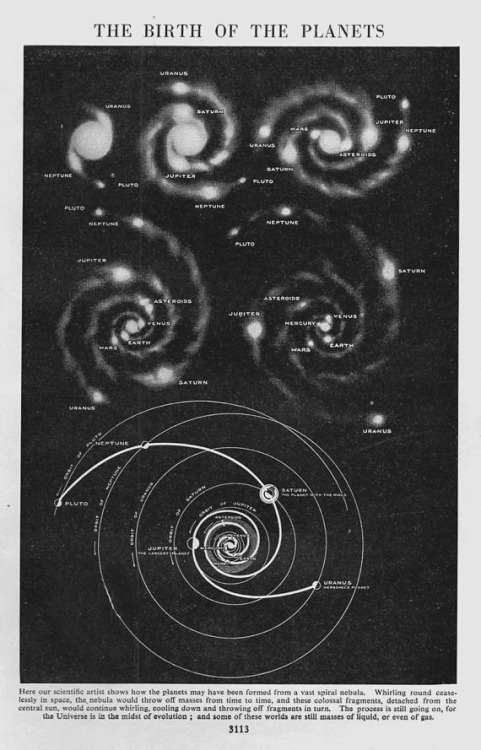 They want you to believe that the planets, were spat out of the Sun, then rested in positions in line with each other in mathematical ratios (Bodes Laws). If you do a scientific simulation test, you will never have planets (molten rocks with different masses) being spat out to rest in ratio positions. They also want you to believe that the asteroid belt was NOT a planet in an earlier time in this solar system. If not, then how did it get there? The ancient scriptures suggest that the asteroid belt was indeed a planet–often known as Maldek. 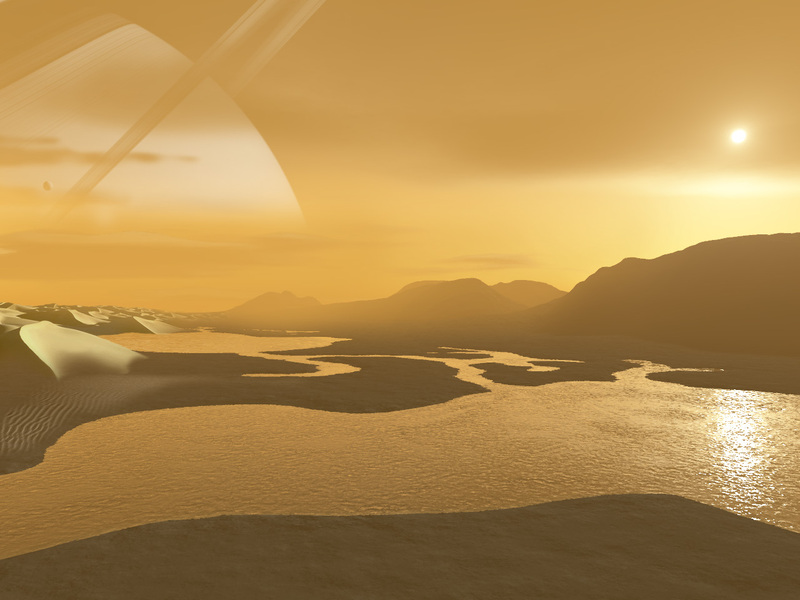 To say that a planet had the conditions of earth 4 billion years ago means Titan has or had life on it. This is why the ancient scriptures like the Enuma Elish writes about planets (including Titan) in their entirety as beings. The collective grouping of beings on a planet. Tiamat (Earth), Apsu (Sun), Gaga (Titan-Saturn moon visited in 2005), Marduk=Manjet, Anu (central planet of this solar system when Enuma Elish events were recorded). Please study the rest for yourself! The Enuma Elish was describing events that occurred multiple millions of years ago. The same way you in this day and time read books/watch movies or documentaries about the Dinosaurs. The time the scripture is written does not refer to the actual time of the event. The existence of the larger planets in this solar system may have been a difference of several hundred million years. Once you understand Revolution and Evolutionary forces, you will understand that the Sun was/is going through evolution (the decay of original existence). And in the past the Etheric energy or Electromagnetic waves of the Sun were much stronger than today. The conditions necessary for life existed amongst most planets within this solar system–much more commonplace in the ancient past. We are at the latter stages of life within this solar system. The etheric gases are in tune with electromagnetic energy, which sparks gases to create atmospheres within this 90-150 million-mile region from the Sun, in line with the development of human species. It has been slowly lowering over billions of years….. Some have evolved over millions of years in to non-human entities due to a lack of indigenous gases and Sun energy in other universal regions. Eye say indigenous because their DNA is based on the nature of the sun their species first evolved in. They then come back to their indigenous solar system and abduct people (their ancestors with their indigenous DNA). They will tend to abduct Caucasians because their DNA structure is the least complicated and easiest to simulate. They look for those with the DNA most close to their strand. Some of these beings evolved from Nubians, Orientals, or Caucasians in their past–Completely different types of beings that over a period of time evolved to who they are now. Do You Get It! Eye am saying that humans may evolve in to what you are calling Greys/Reptilians over the next several thousand years. This is because the environmental conditions of Earth by then will force humans to evolve (decay) into what you are now calling extra-terrestrials. In the future if we continue as we are now destroying this planet, then eventually it will be un-inhabitable to us. By then, with future technology we too will have to venture to other regions (star constellations) looking for resources and minerals to help our human species survive. This is the spiral of evolution. Many of these beings visiting earth are millions of years further down the chain. To break the chain it all goes back to respecting universal laws and aligning ourselves with nature (positive life forces). Preservation of nature (revolutionaries), over the destruction of nature (evolutionists), these are the laws of Opposites. Nubian people rarely get abducted also because many beings know the Nubian lineage is of original existence, signified on earth thru the circle (hair curl), for some of them were once human. They also know of our celestial forefathers so they rarely touch Nubians. There are agreeable and disagreeable amongst them. Believe it or not, but Nubians must also realize that there is a high likelihood that many of these beings (not in the image of the Negroid) will not have stronger DNA than us within this solar system, due to our original indigenous existence. There Are Higher Entities Out There Against Our Kind (Nubians). Some are mistaken as spirits and “gods” by their followers on earth, and they often use caste as a tool. Humans Mainly Due To Un-Intelligent Eco-Management Are Slowly Creating Extra-Terrestrial Environments On Earth. This Is To Say That The Conditions For Life On Earth Are Becoming Less Suitable For Human Existence, And Only Non-Human Forces Can Benefit From This. 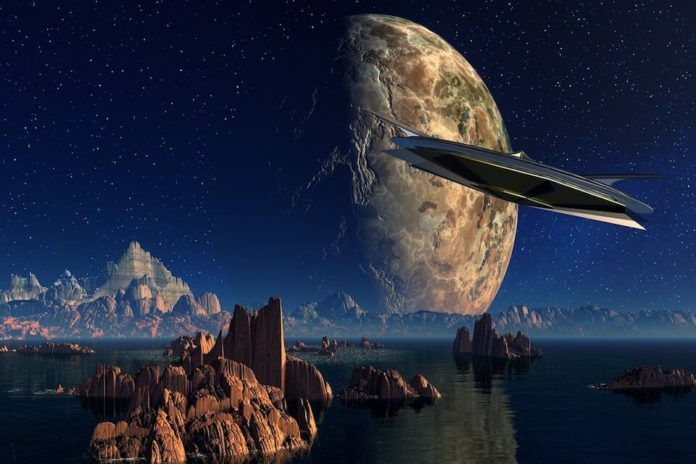 These are some of the many global situations concerning extra-terrestrials, there are may more–some good, some bad…. I like the changed theme and layout. You weren’t lying. We really are on the same wave length. I have been wanting to change mine for a while now. Just haven’t made the time to. Yours looks good. Indeed Fam…& Thank You Much!